We are a general dental practice which provides comprehensive dental care of the highest standard to people of all ages. We have sought to make our dental practice the type of clinic we would want to attend if we were the patient. We are preferred providers for Medibank and Bupa and we bulk bill children eligible for treatment under Medicare. Our records are computerised and we operate a ‘paperless’ clinic. The equipment we have installed in the practice is state of the art to ensure we deliver modern treatments with the best possible outcomes for you. We use Australian laboratories, rather than overseas ones, for all of the prosthetic work that we provide to you (such as crowns and bridges). 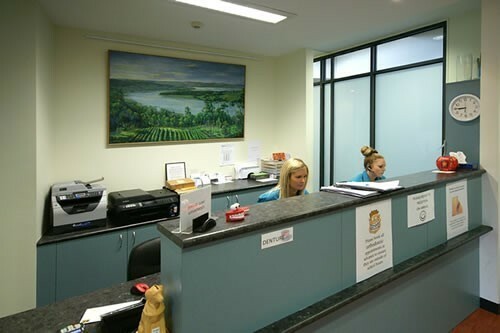 Furthermore, we aim to support local Tasmanian businesses as far as practicable in running our practice. In our practice the most important assets are our patients. Our aim is to provide an essential healthcare service to the local community. The open space immediately surrounding the complex comprises public recreational space including walking tracks, outdoor exercise equipment, bike tracks and an amphitheatre. 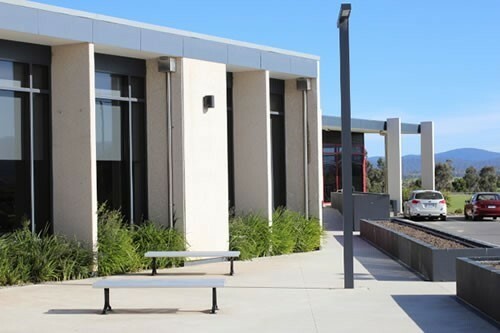 The location of the centre makes it highly accessible for residents of the West Tamar council area as well as part of Meander Valley and Launceston. The facility is easily accessible for people with limited mobility and there are 112 car parking spaces.